Vortex is a very well known name in the optics world. They have a very extensive range of products, from their riflescopes to their excellent binoculars. But neither of those categories are what we’re here to discuss today. Instead, we’ll discuss a product from the Vortex red dot sight lineup. The Vortex Sparc II sits somewhere in the middle of the range for Vortex. Its priced very well, way beneath the true high end optics, yet above the entry level options. In terms of performance and feature set, it’s also right in the middle. The durability and ease of use are on par with its more expensive red dot sight brethren. Where it falls short is advanced bells and whistles that only the expensive products come with. The Sparc II targets all of those recreational users who want a simple solution. People who don’t want to overpay for features they’ll only use once or twice, yet don’t want a cheap red dot sight. If you’re such a person, by all means read on through our review. 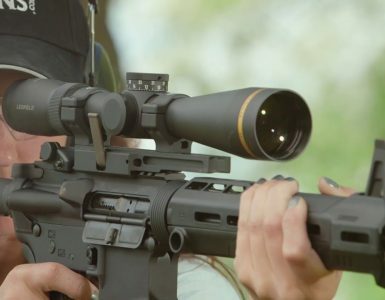 This Vortex red dot sight might be the right solution for you. What is the Vortex Sparc II Red Dot Sight? SPARC actually stands for Speed Point Aiming for Rapid Compact. The Sparc II and Sparc AR are both the “compact” options in the lineup, made to be lighter and simple options. When compared to the Sparc, the II has a few refinements, but nothing special. When you get it, inside the box is a battery, the mount, the sight, and all tools and screws you need to put them together. The box is also made of Styrofoam and has cutouts, so you can easily store your red dot sight there if you don’t use it. The Sparc II weighs around 1/3 pound, and is a mere 3.1” long. You can have it on top of just about any gun, without it impacting the handling characteristics too much. The single battery can run for around 300 hours on the maximum setting. To save some battery life, the Sparc II will shut down after twelve hours without any interaction. On the outside, you get a body that’s machined from one piece of aircraft-grade aluminum. This is an excellent choice if you want your product to be stiff, yet lightweight. It’s also great for this specific situation, since the red dot sight will need to withstand impact and recoil. The base is modular and made of three pieces. This allows for four mounting heights. With that many, you can easily set it up just right for you, regardless of your use and the weapon you have. The high base and the shim plate will give you absolute and lower 1/3 co-witness mounting heights, and you have a low base for shotguns and handguns. You won’t find yourself needing more versatility with this. Weather proofing is important for outdoor products such as this one. The O-ring sealing and nitrogen purging are expected from such a product, and the Sparc II doesn’t disappoint. It’s completely waterproof, and you won’t notice any internal fogging either. While we’re discussing the outside, we should mention the power controls. You will find two rear facing buttons, for a simple operation. The buttons adjust brightness, and you have ten levels to choose from. 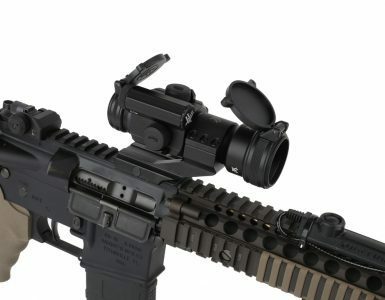 This makes the red dot sight very versatile, you can use it in a host of situations. Speaking of adjustments, there are elevation and windage turrets. The point of impact can be adjusted in all four directions, making for an accurate hit. Last but not least, we have the lenses. Fully multi-coated lenses are the best possible option out of all, and you’ll find them on the Sparc II. The field of view will be clear, distortions will be minimized, and you’ll notice little to no flare issues with it. It’s also a good thing to note that the Sparc II is parallax free. With more or less unlimited eye relief, you can look at it from any angle without issues. How does the Sparc II red dot sight perform? Considering we’re looking at a midrange offering, and not a high end one, the Sparc II red dot sight by Vortex is amazing. First of all, the controls are very easily accessible and have a good, positive click every time you push them. The optical quality is good. Not perfect, as there’s a very light blue tint to anything you’re looking at. However, this is something that doesn’t impact your shooting in any way, and we can freely say that you get used to it after a while. Clarity is no issue whatsoever, with everything being crystal clear through the sight. You won’t have any issues with fogging on the inside, or the glass becoming cloudy, so it won’t mess with your shooting experience. The red dot is very clear. Maybe not as clear as a high-end scope, but you won’t get the “double dot” phenomenon that’s common with cheap scopes. 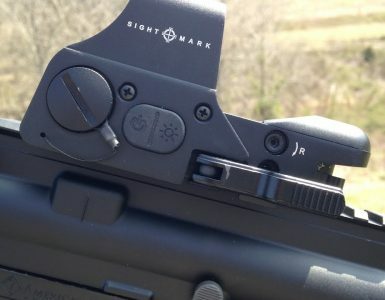 Final verdict – is the Vortex Sparc II red dot sight a good purchase? Our answer would honestly have to depend on what kind of person you are. If you’re a recreational shooter who just wants a basic red dot sight, yes, the Sparc II is a great option. It’s made by a reputable brand, it’s built really well, and optical performance is great. However, if you’re an advanced user who wants a bit more oomph out of their optical products, the Sparc II might not be up to your standards. Well, honestly, nothing in this price range will be. But if you’re limited to this price range, you’ll be hard pressed to find a better contender.